Hey girls! Would you like to be more self-sufficient when it comes to the cosmetics you use? How about you being the one to choose which ingredients go on your face, or not? 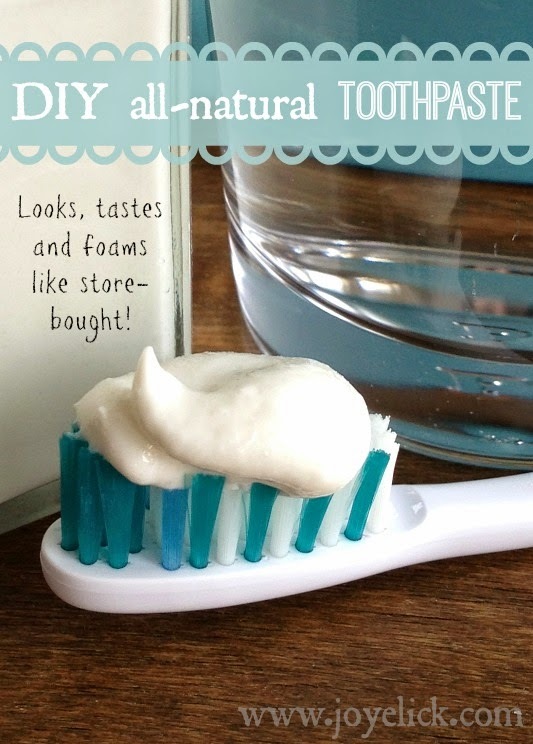 An easier-than-you-think place to start is making your own lip balm! Making lip balm is not hard. (My teen-age nieces love this stuff!) Once you know how to make basic lip balm, you'll enjoy experimenting with all kinds of ways to vary it up, color it, flavor it, etc. I know you're going to love how this lip balm recipe feels going on. And it smells just like lemonade! And the best part is, this natural lip balm does not contain petroleum, or any artificial dies or fragrances. All the ingredients you'll need for this recipe. *I found my beet powder (for natural coloring) in the bulk health-food section at a grocery store and it cost very little. 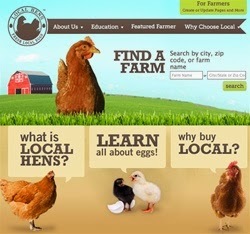 You can also find it online at the above affiliate link. ** If you can't find sweet almond oil at the store, you can look online at the above affiliate link, or you can substitute another food-grade oil, such as olive oil, or avocado oil, but these may change the flavor slightly. then having them fall like dominoes! 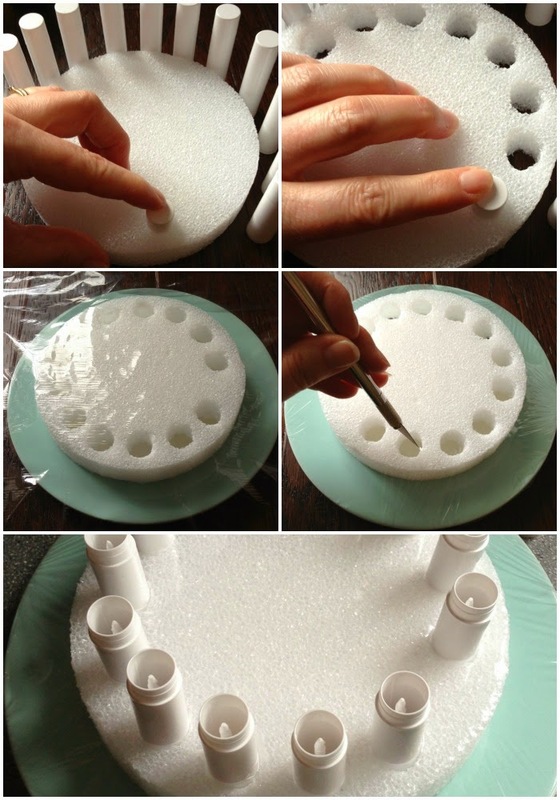 Poke a lid from one of the empty tubes through the styrofoam wheel. Your hole should be about a 1/2 inch from the edge. Continue doing this around the wheel, spacing each hole a 1/2 inch from the edge and from the previous hole. Poke holes for the number of tubes you have. (Note: I chose styrofoam because of how easy it is to use for this, especially for younger girls. However, a more sustainable option is wood, which you could do the same thing by using a drill press to cut the holes, but this probably isn't feasible for everyone). When you're done, wash any particles out of the lid you used to poke the holes (you don't want any of this in your lip balm!). Place your styrofoam wheel on a salad plate and secure it to the plate with a piece of plastic wrap. Now you have a steady, secure base for your tubes. This will make filling them much easier than if you just tried to do it with the tubes free-standing. (They can be like dominoes -- if one falls over, they all fall. Not fun when you're trying to fill them!) The plastic wrap will also contain any loose styrofoam particles that can be very pesky in clinging to your tubes and finding their way into your balm. Poke through the plastic over each hole with the tip of a knife and then insert each tube into a hole. Now you're ready to make the lip balm. Melt everything together over medium heat. has an inch of water in it works really well. Fill a medium saucepan with about an inch of water and place it on the stove. Place the glass measuring cup in the pan of water. 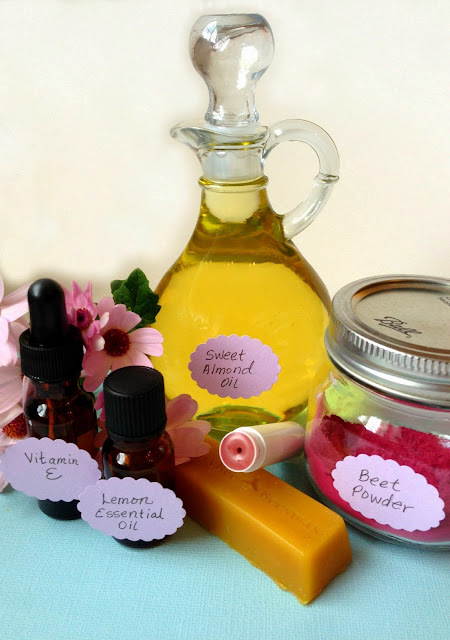 Measure the oil, wax, vitamin E, and beet powder into the glass measuring cup (everything, but the essential oil, which will lose it's scent if cooked). Cook over medium heat until the wax is completely melted. 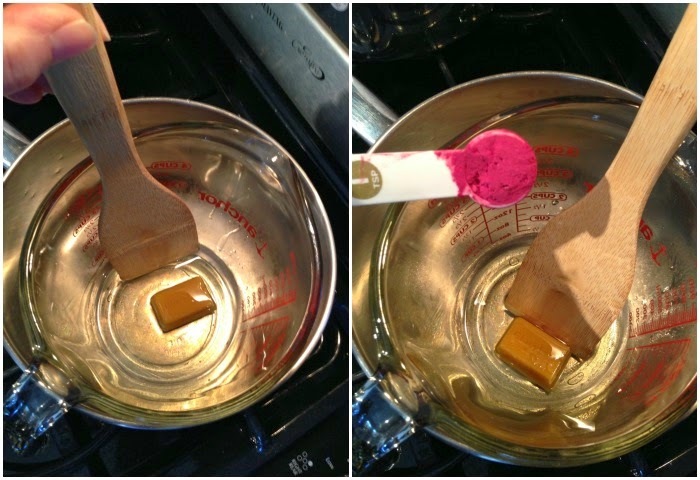 As the oil and wax heats, stir the mixture until there are no clumps of beet powder. (Note: It is very important that you only use medium heat. Wax can reach a flash point if heated too high and catch fire). only get clogged with cooled wax. When the mixture is melted and smooth, turn off the burner. Add the essential oil and stir it in. Using a hot pad if necessary, carefully pour the mix immediately after adding the essential oil. The mix will cool quickly and then not pour well. Fill each of the tubes in your holder. Try not to overflow the tubes (but it's okay if you spill a bit--it wipes off easily enough when the tubes are cooled). Fill to just below the rims of the tubes. As they start to cool, the balm will shrink down a bit. Go around again and top them off with what you have left in the cup. Allow the tubes to cool completely before removing them from the holder. Once cooled, use a paper towel to wipe them clean of any overflow, then cap them and your done! 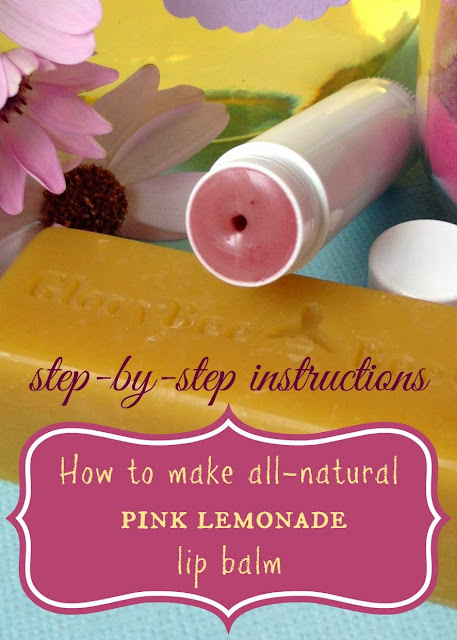 You now have a batch of refreshing tubes of pink lemonade lip balm to enjoy and share. What about all these left-over supplies? Now that you have lip balm supplies on hand, maybe you'd like to experiment with other flavors. If you do, just make sure your essential oils are 100% pure, organic and therapeutic-grade or higher. Did you know, the ingredients used in lip balm are common in other bath and beauty products, like lotions and body oils, cleansers, body scrubs, bath salts, and hair care products? So you'll be able to use these same supplies on other projects. That means, you'll want to STAY TUNED to this blog, because I'll be posting more fun things for you try! Nice post.Thank you for giving this post.I read the full topic and i can follow all content due to simple language used here.it helped me in a great extent.It is really an interesting post to read.Every reader will get some useful information from here.Visit top thesis writing service to get more details.